Posted on April 8, 2017 by revivewa	in Features, Profiles and tagged 1, feature. 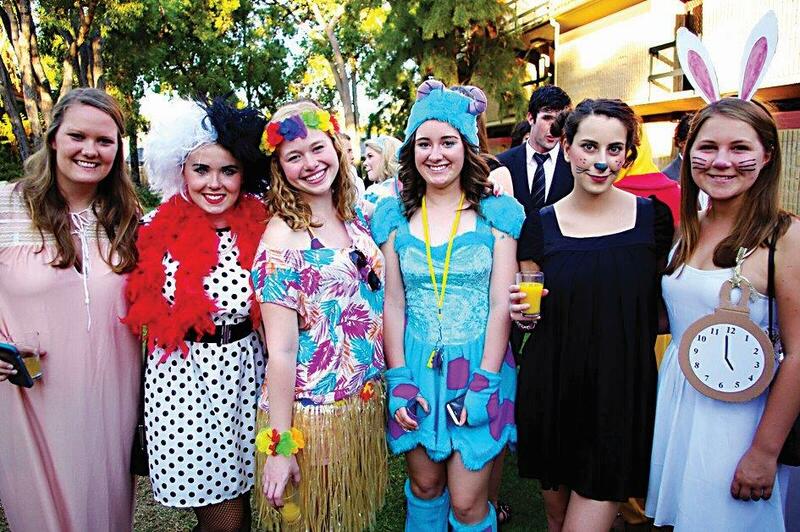 During Easter, we often reflect on ‘new life’ or ‘new beginnings.’ At Trinity Residential College, a Uniting Church WA college for university students in Perth, staff and students are all too familiar with the stress and excitement that a new beginning can offer. Trinity Residential College is located across the road from the University of Western Australia, and provides accommodation for students studying at any university in Perth. Hayley Winchcombe and Ben Perry are resident advisors at Trinity College. This means they live and study at the college and, having spent a few years there, are now working as advisors to new students who are just coming in. They help new residents with any queries that might come up, from how to use the airconditioner, to where they can buy a sim card for their phones. They know all too well how hard it can be to adjust to this kind of change; moving away from home, family, friends and high school, to a new city and a new self-determined study routine. Hayley moved to Trinity from Dunsborough to study French, and politics and international relations. Ben hails from Albany and is studying psychology. They both said that activities organised during ‘O Week’ or Orientation Week, were important for building their new life at Trinity. “Some people get quite overwhelmed at the start,” Hayley said. “I’ve got a lot of international students and they have to organise bank accounts, phone cards, enrol and sort out all the basics like going to the supermarket and how to call home. So it’s a really big change for them,” Hayley said. “I found uni in the first few weeks to be quite isolating, but Trinity was the exact remedy for that because we were encouraged to meet so many different people in our wings. There were all these different events during O Week that allowed us to form really deep friendships and connections that helped get over that bump of transitioning to uni life. Liz Caddy is the health and wellbeing counsellor at Trinity Residential College. In her role, Liz sees students go through a range of emotions when they move to Trinity. 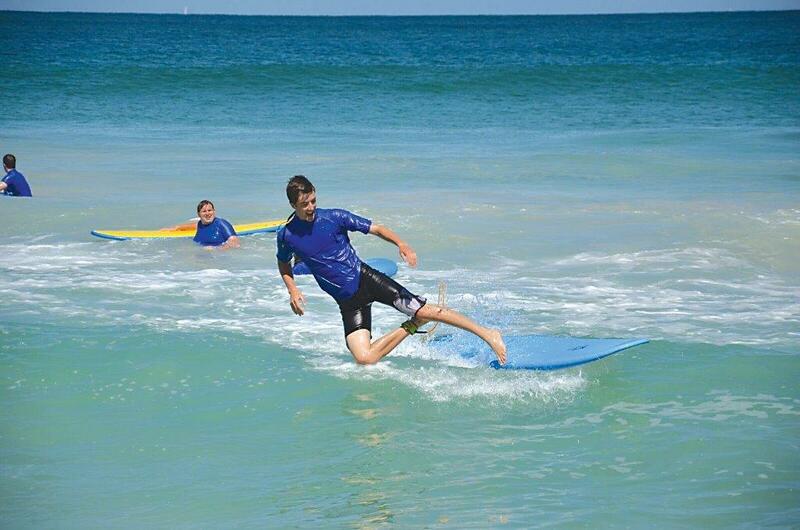 Surfing lessons, organised as part of O Week at Trinity. “Some students will just fit in straight away; we might not ever really have any concerns. Young people are incredibly resilient and part of college life is about building resilience as well as coping with challenge and change. “But for some it may be a more difficult transition from home. Trinity is about making sure each individual, whatever their needs are, are met. Liz said that many students can feel homesickness, but on top of that it can be scary to figure out how to get around the city when you’ve come from a rural place. For international students, culture shock can also be an issue. The college supports students through this with a range of activities, many of which are peer-led, which encourage them to make friends and join in different social and study groups. Sometimes staff at Trinity even bring in their dogs to work, knowing that many students have left pets behind at the family home. Liz said that many residents come to her office just to pet her dog, Honey. A big part of creating a home away from home is found in the kitchen. Trinity is one of the only university colleges in Perth which offers a blanket service of all meals provided, creating a welcoming dining area which is open to residents most times. Not only does it mean students can balance their study and wellbeing, but it also simulates a home-like kitchen and dining room, where they can access food and refreshments when they need it. Liz said the dining room is very much the hub of college life. “We feel at Trinity that the sense of community and sharing meals together in informal and formal ways is a really important part of college life,” said Liz. Rachel King, community relations officer at Trinity Residential College, said, like in the home, the dining area is where residents can build relationships. “We really encourage a social community so [if there is] anything we can do to enhance that, we will. Having meals together is such a good way for the residents to meet people, bond with each other and meet throughout the day just to have a casual chat,” she said. Despite all the anxiety that comes with change, Hayley and Ben said their experiences at Trinity so far have been worth making the leap. As homesickness creeps into their lives, Hayley said that having a supportive network around her definitely helps. “Because I only live three hours away I can go home any time. But you don’t want to be too dependent on that calling all the time, so I think Trinity really distracts you from being too homesick. You have all this other stuff going on all the time so you’re not just sitting in your room thinking ‘I miss my mum, I miss my dog,’” she said. For more information, and to apply to live at Trinity while studying a university degree visit www.trinity.uwa.edu.au.